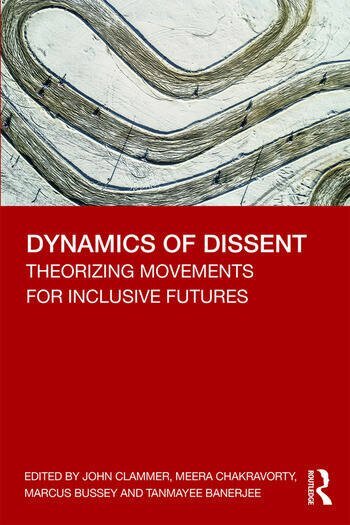 This book analyses dissent and its manifestations in movements of social and political transformation across communities and cultures. It shows how these movements create ruptures in the structures of power, and social hierarchy; expressed through songs, slogans, poetry and performances. The essays in the book explores these sites of transgression and the imprint they leave on culture, politics, beliefs and the collective society—via music and poetry as in the Bhakti movement or through feministic theories born in post-World War Europe. It also explores how these dynamic movements generate alternate spaces within which the self, identity and collective purpose take new forms and find new meanings as they travel. This book will be of interest to students and scholars of the humanities, literature, history, sociology, politics and culture studies. List of Contributors. Preface. Acknowledgements. 1 Introduction: Dynamics of Dissent: Theorising movements for inclusive futures Nikolai Blaskow 2 Conversations Across Abstractions: A Silent Movement by the Poet- Wayfarers Meera Chakravorty 3 "What knowledge is this? ": the role of ‘special knowledge’ during moments of broad social change Francesca Bussey 4 Feministic theory and practice in Sweden and its impact on families, the labour market and legislation Christina Zaar 5 Kabir Suman: The Child and Father of Movements Tanmayee Banerjee 6 Lotus and Labrys – The role and legacy of two young women’s movements in Wellington, New Zealand at the end of the millennium Penny Ehrhardt 7 Perspectives on Japan’s Anti-Nuclear Movements: The Effectiveness of Social Movements? Naoko Kumagai and John Clammer 8 Ressentiment as false transcendence: and how transformative dissenting political and social movements can create inclusivity Nikolai Blaskow 9 Song of the Sawngs: Transformation of a Cultural Protest and the Role of Nationalist Politics Rajat Kanti Sur 10 ‘We shall rise’: Intimate theory and Embodied Dissent Marcus Bussey 11 Women in Black – a Women’s Peace Movement Susan Finch 12 Afterword: Inclusive futures and Dissenting Visions Meera Chakravorty. Index. Meera Chakravorty is a Research Faculty in the Department of Cultural Studies, Jain University, Bangalore. She has translated some Award-winning literary works of renowned authors published by the Sahitya Akademi. John Clammer is Professor of Sociology, O.P. Jindal Global University. He was formerly Professor of Development Sociology, Adviser to the Rector and Director of International Courses at the United Nations University, Tokyo. His most recent book is the volume Cultural Rights and Justice (2019). Marcus Bussey is a cultural theorist and futurist at the University of Sunshine Coast. He has co-edited and co-authored the Alternative Educational Futures (2008), and Futures Thinking for Social Foresight (2005) among others. His book of poetry, Clare and Francis (2012) was translated into Bengali by Meera Chakravorty. Tanmayee Banerjee is an independent researcher and the youngest editor of this volume. She is an artist and performer trained in Indian Classical Music.